Italian is one of Vittoria's original blends, reminiscent of Italian style coffee. 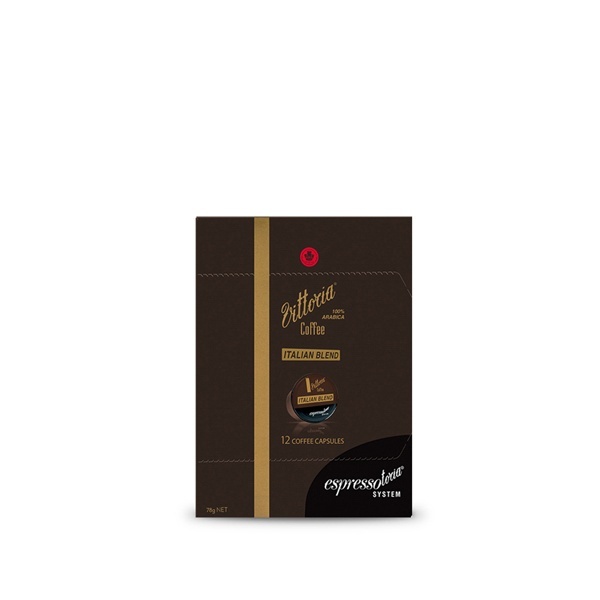 Italian blend is a roast of 100% Arabica coffee beans with a medium body delivering a smooth finish with rich crema. Italian blend is perfect as a short black or with milk. A Vittoria original blend, reminiscent of Italian style coffee that delivers a smooth finish.